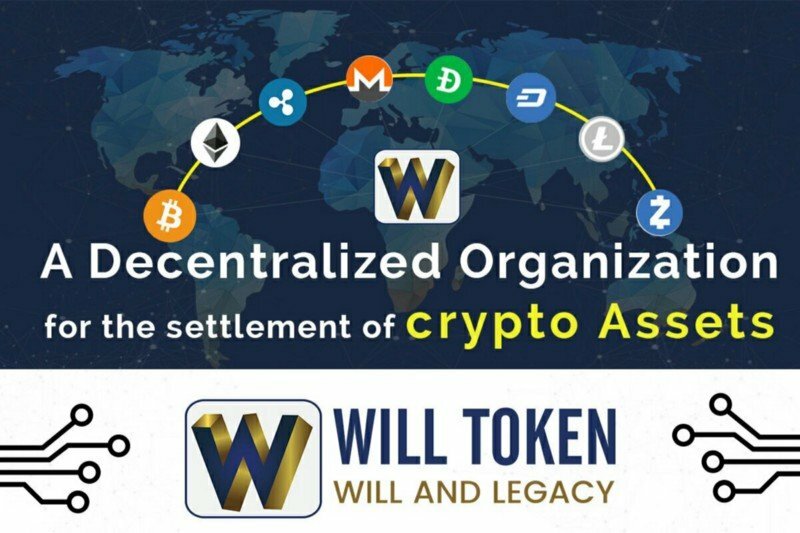 WILLTOKEN PLATFORM: will and legacy. Willtoken is a utility token issued by Digitrust Corporation, which provides wealth assignment services to members of the crypto investment community. Willtoken can be purchased and utilised like any other crypto coin on the market today. People who use Willtoken will be entitled to the service of crypto wealth assignment, while the users don’t use Willtoken may avail the same service at a chargeable rate. This platform allows investors to put in place particular process and procedures to ensure that the transfer of their crypto-wealth takes place seamlessly and without interference from an unknown party. Investors also want this process to complete without an unreasonable loss of time and value of their intended recipient. WILL Token platform aim to provide a non-complicated, fully automated, simple to apply and non-invasive crypto wealth assignment as well as settlement service to all Crypto investors Community. This platform is ensures the appointment of beneficiary becomes a regulated and mandated feature for every crypto investor. It allows for protection of investments and holdings. It provides the ability to pass it on to their loved ones effortlessly. WILL Token platform overall mission is to provide a safe blockchain environment for crypto investors to build wealth and empower their beneficiaries to inherit their wealth when the investor is no longer around. Future rollouts of Digitrust Corporation and WILL Token will see the introduction of Will writing services, the appointment of trustees and executors, management of wealth and assets as well as inheritance and settlement services onto the blockchain platform. The platform is an automated service to transfer crypto assets to the beneficiary through an organized system, where latest technologies like Blockchain, Hyperledger, and Sawtooth technologies are used. The system design is to integrate with entities (i.e. exchange, e-wallet), investors can transfer their wealth and assets from these entities to their beneficiaries without much hassle or fuss. The fair part of this deal is the investor may or may not need to disclose the investment portfolio to his beneficiaries. The system will extract the investment details of the investor using the grant of probate and initiate the process. This process will identify the beneficiaries, verify authenticity, and execute the transfer protocol with any of the following options: Execution Order, Letter or Administration and Court order. Everyone's investment goals is to provide a financial haven for yourself and your loved ones. You need someone to ensure that the wealth you have built reaches your family in the event of your sudden death. The platform Integrated Service allows you to put particular process and procedures to ensure that the transfer of your crypto-wealth takes place seamlessly, automatically and without interference from a third party. You also want this process to complete without an unreasonable loss of time and value to your intended recipient. Willtoken is a utility token from Digitrust Corporation; Willtoken can be used to avail the crypto settlement services. 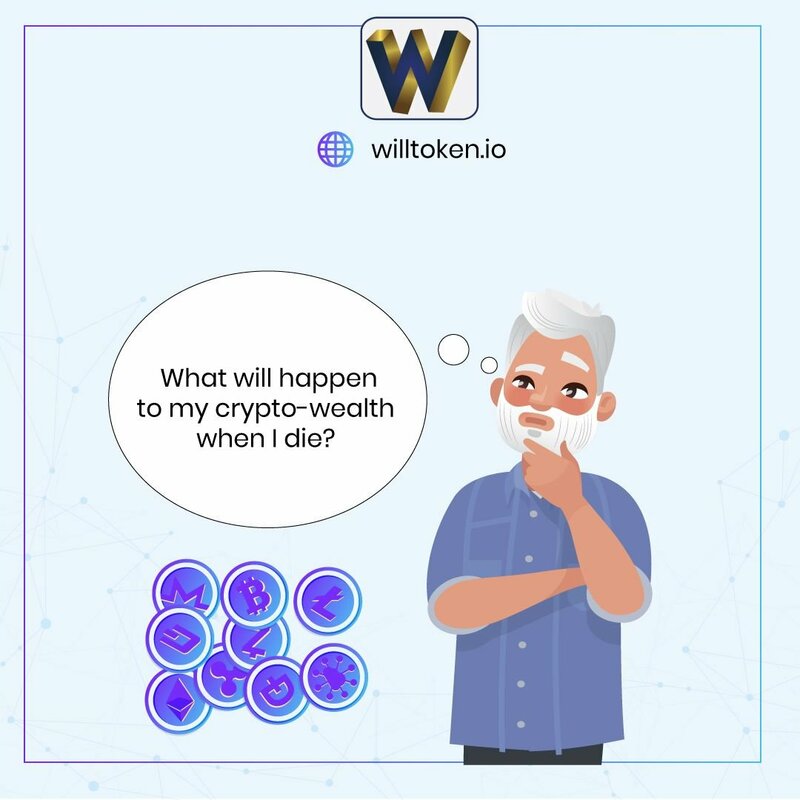 Willtoken helps to protect your Crypto wealth securely. It helps to pass your Crypto assets safely. It helps your loved ones to inherit Crypto assets through a regulated system. Willtoken will act as a mode of payment to initiate and execute the Crypto wealth settlement services.